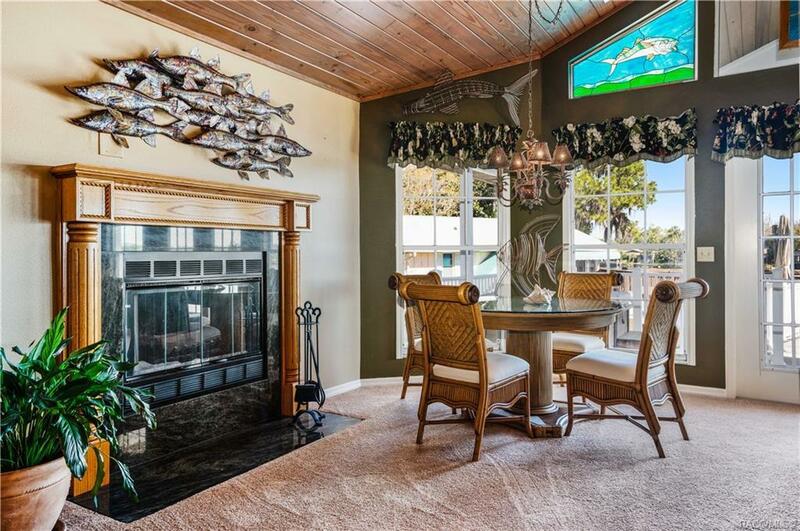 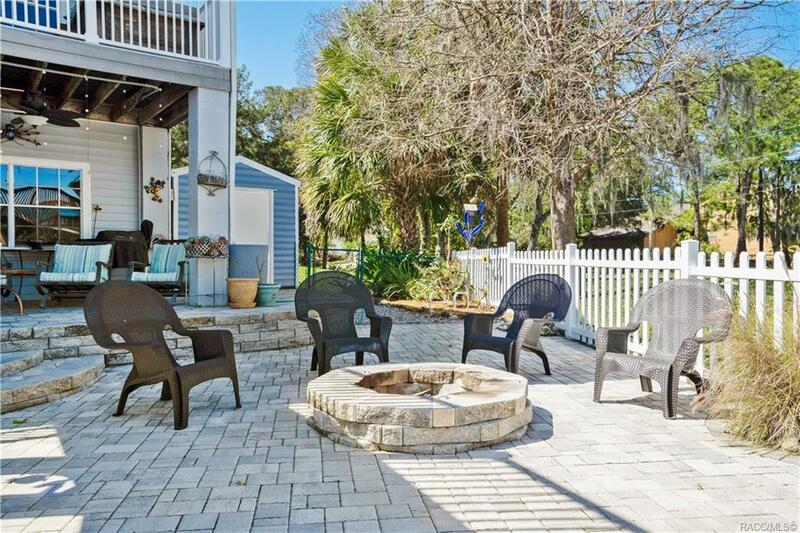 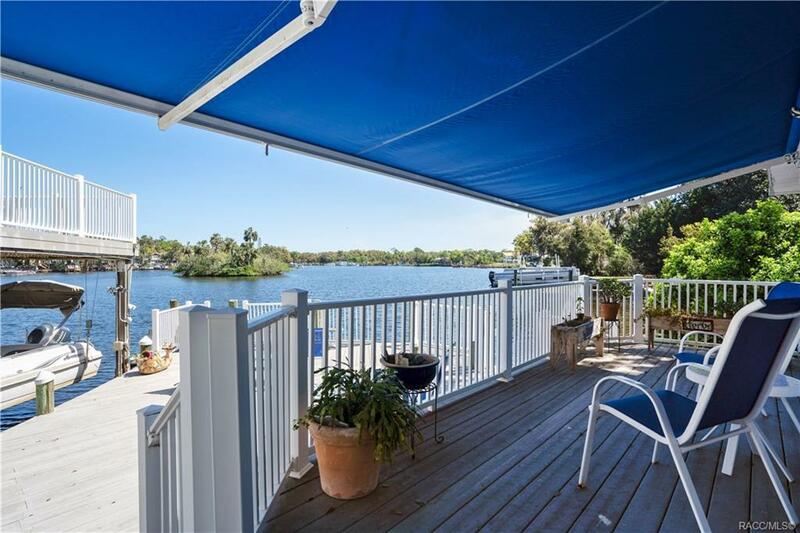 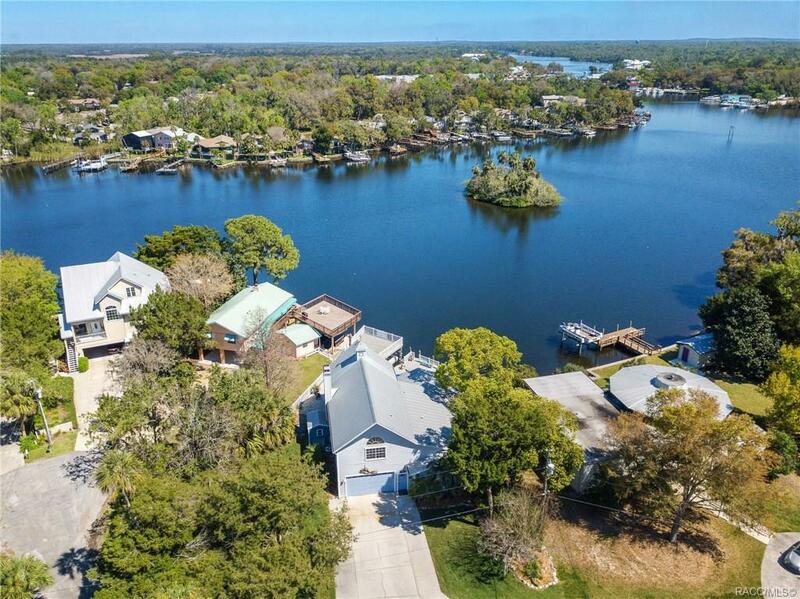 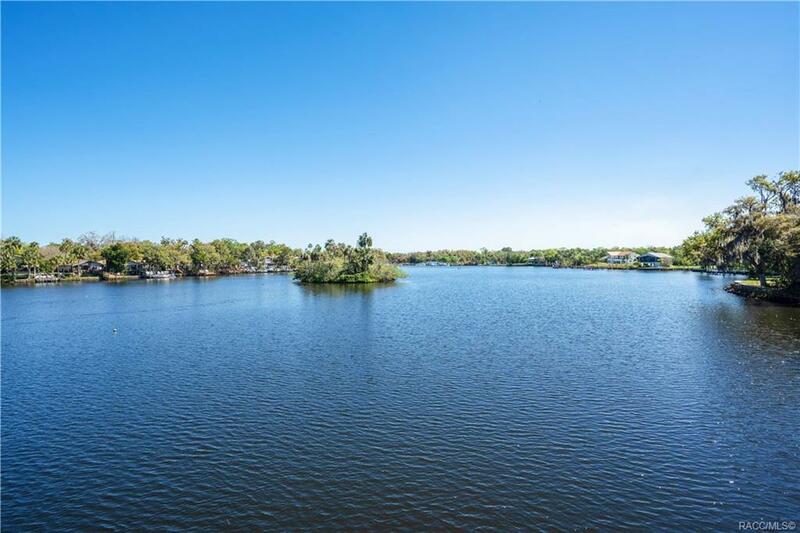 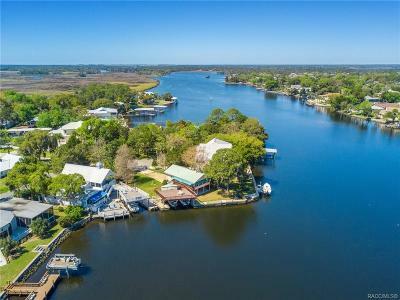 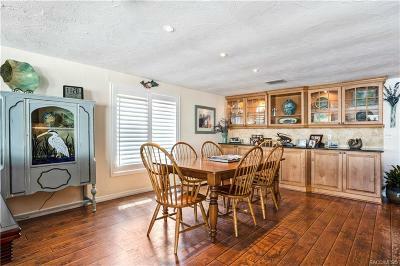 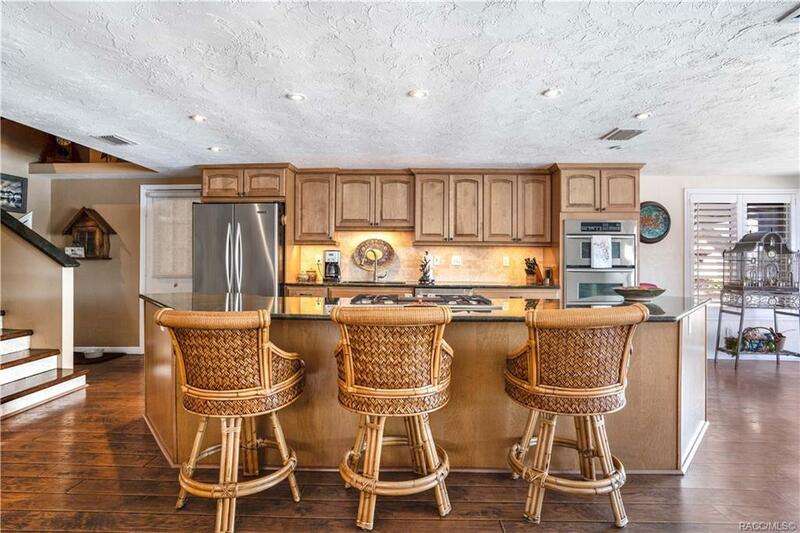 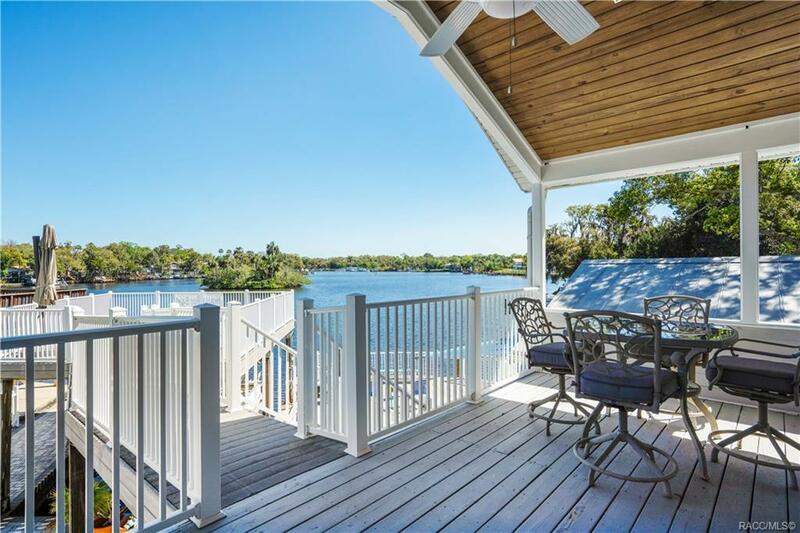 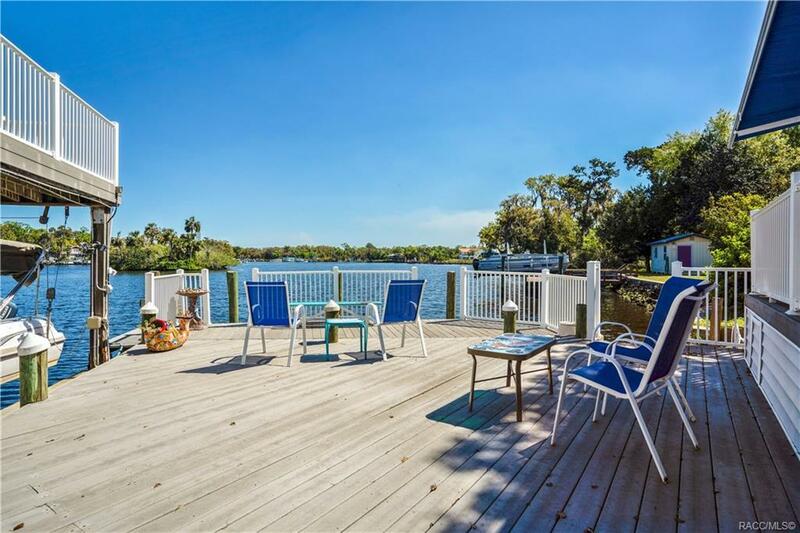 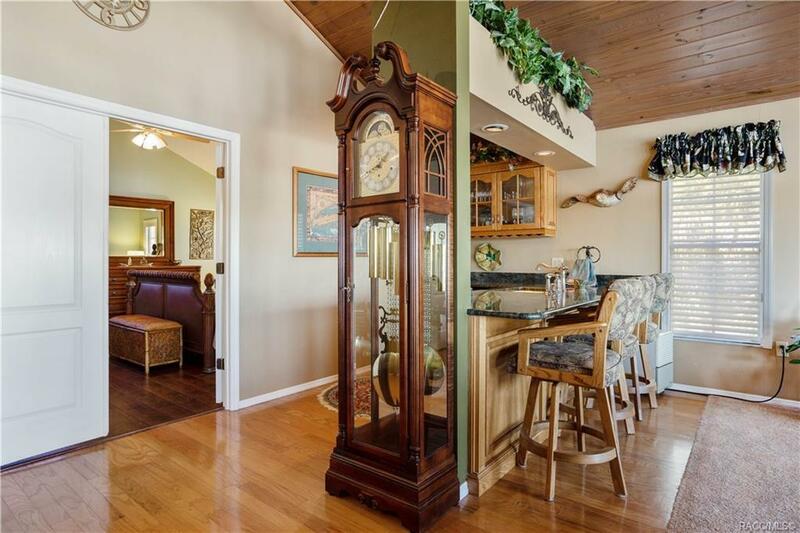 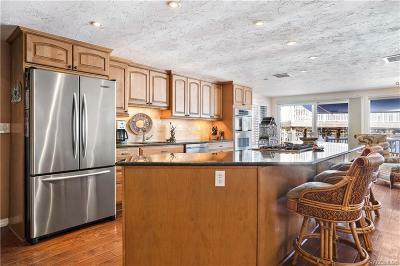 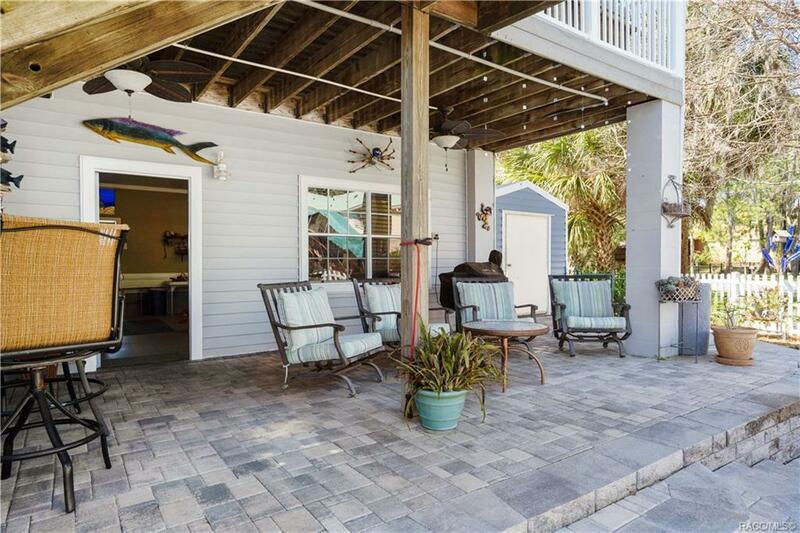 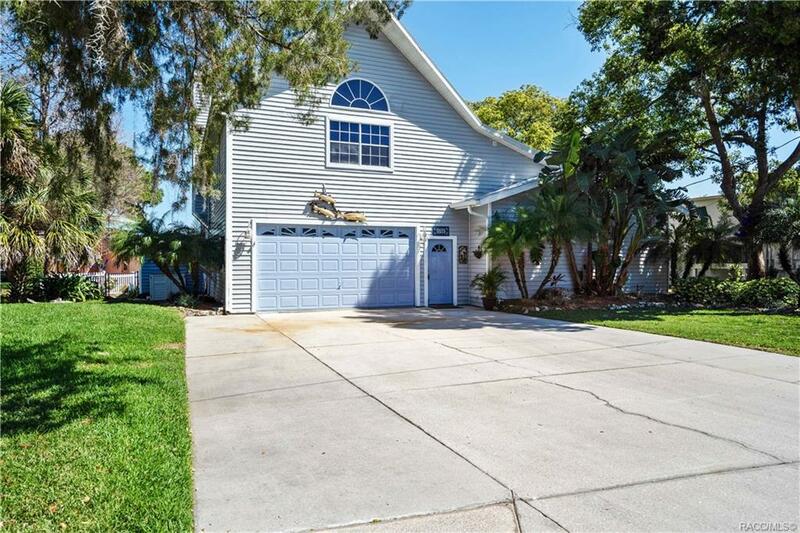 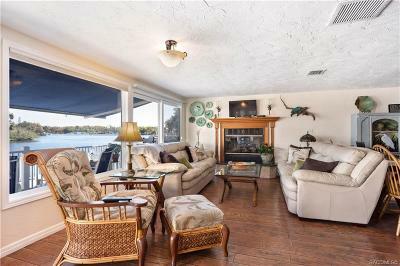 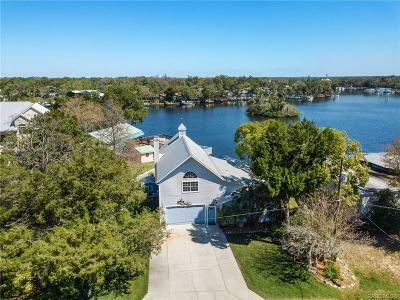 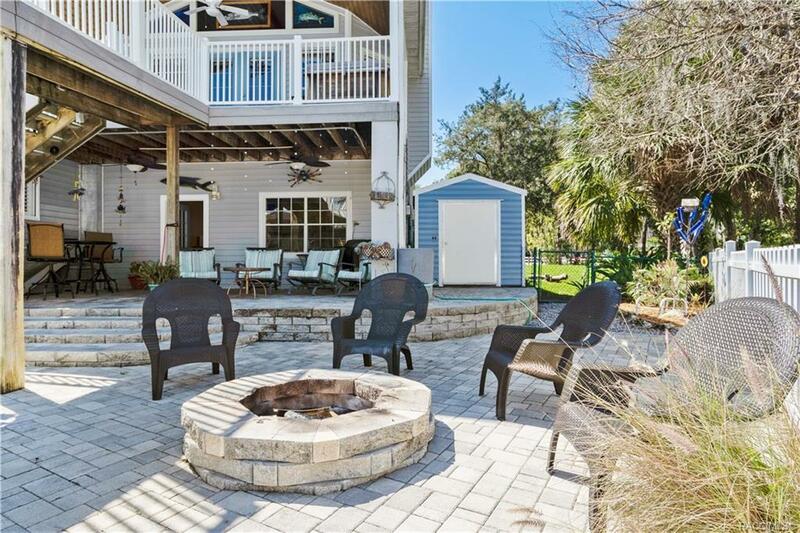 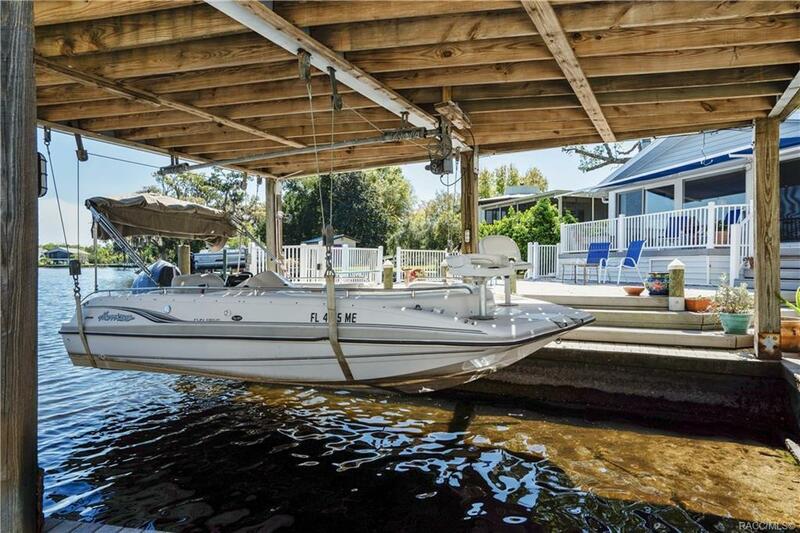 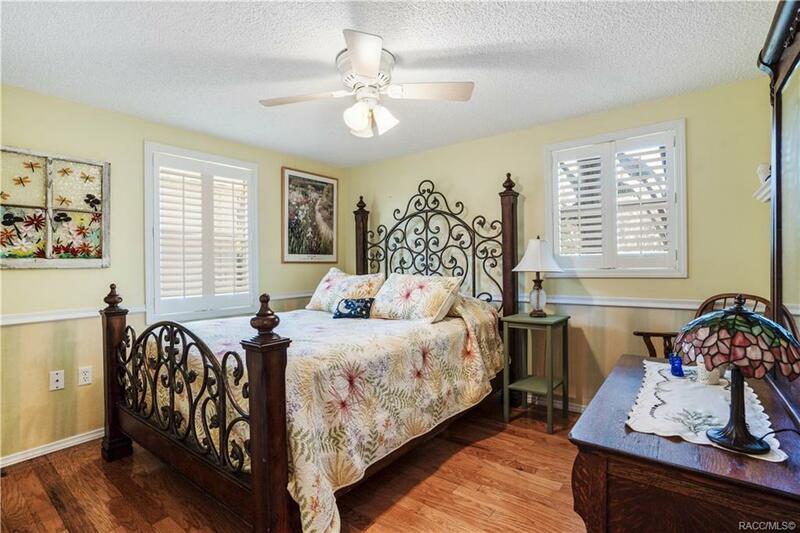 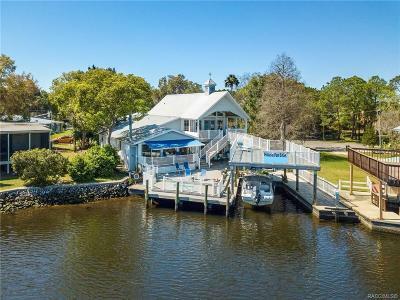 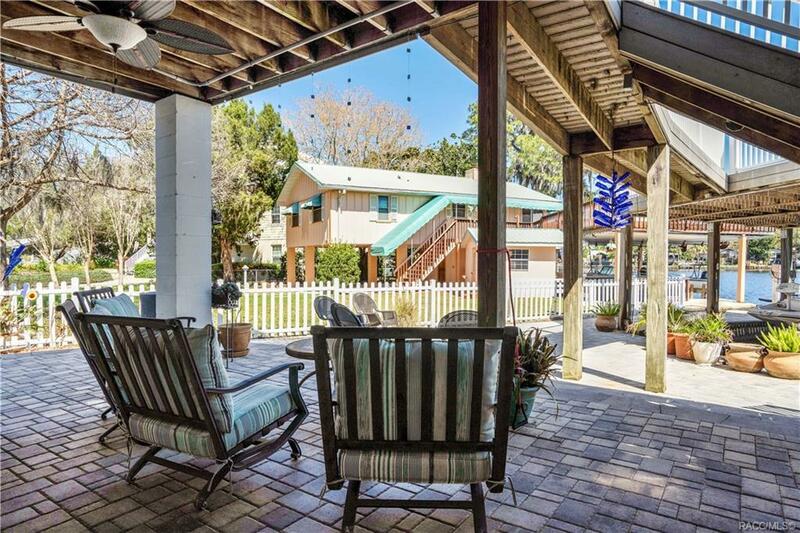 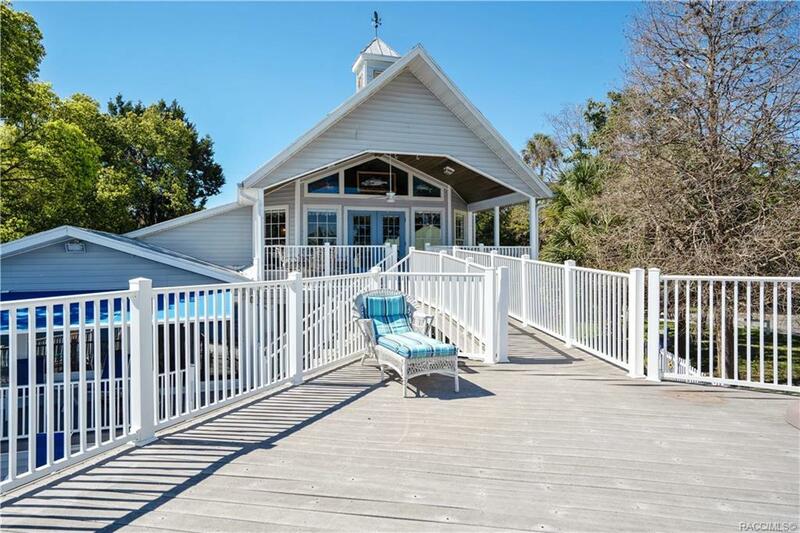 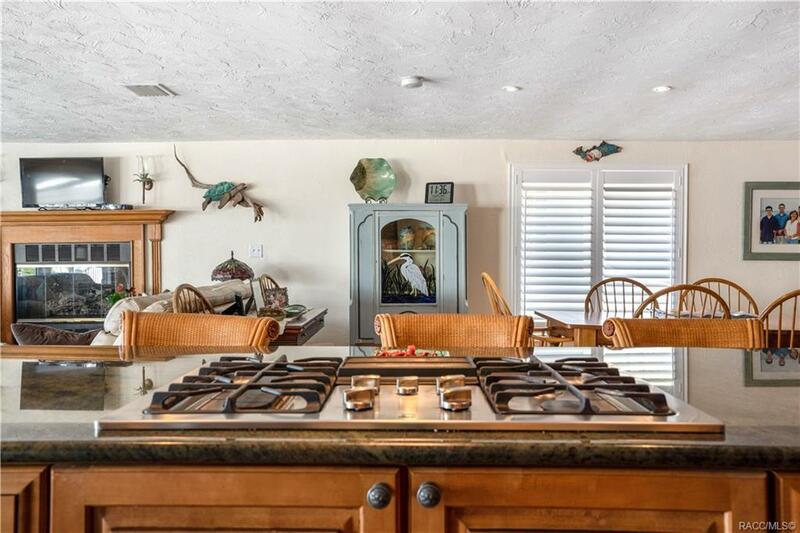 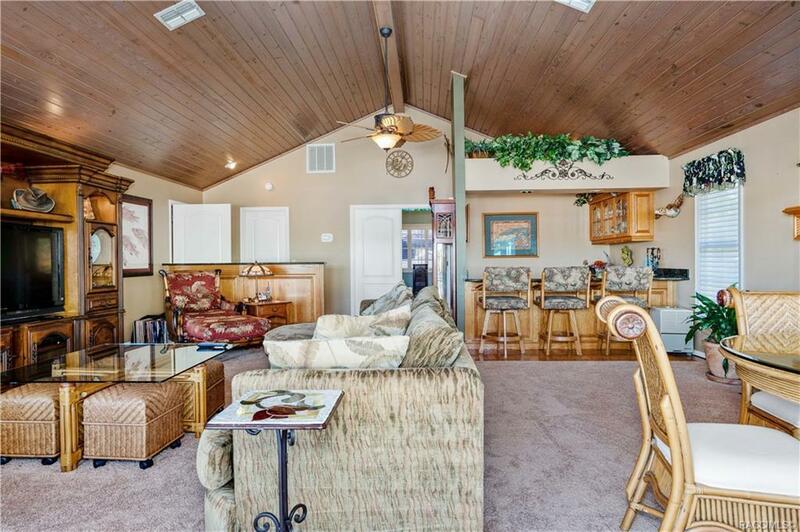 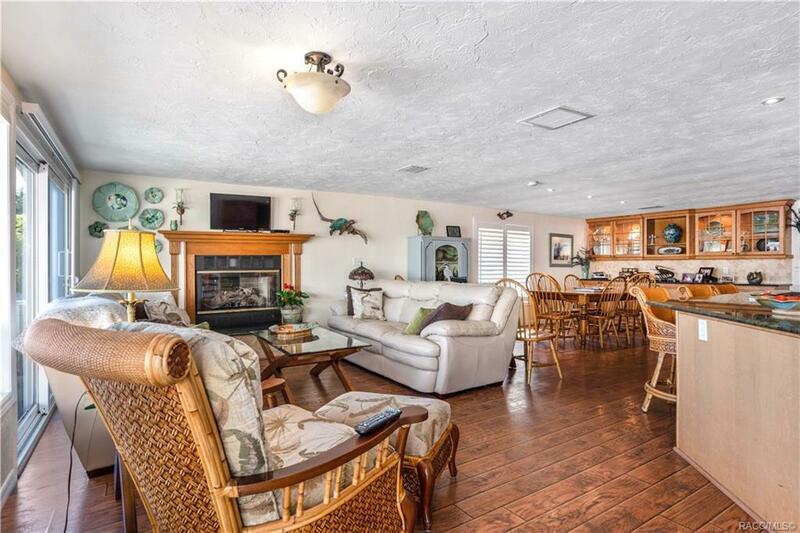 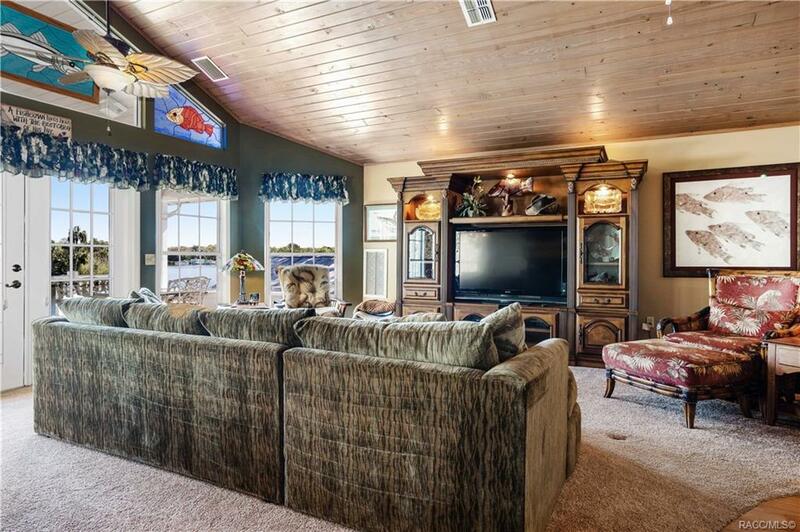 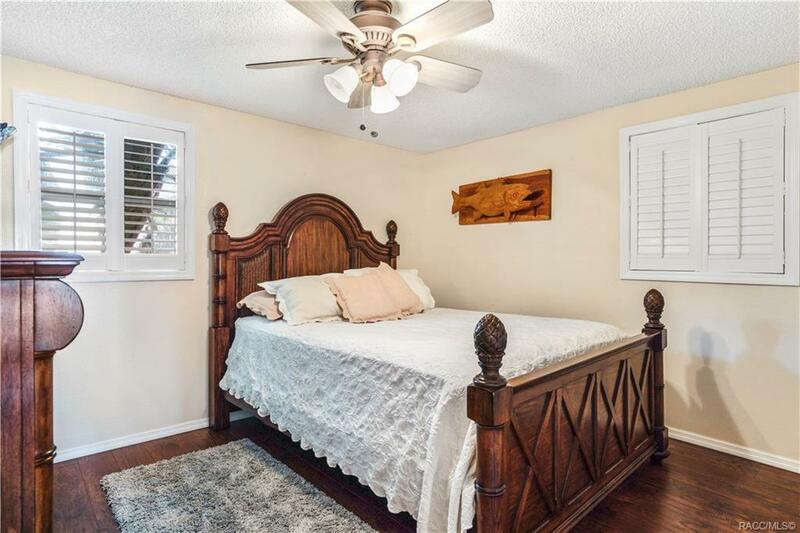 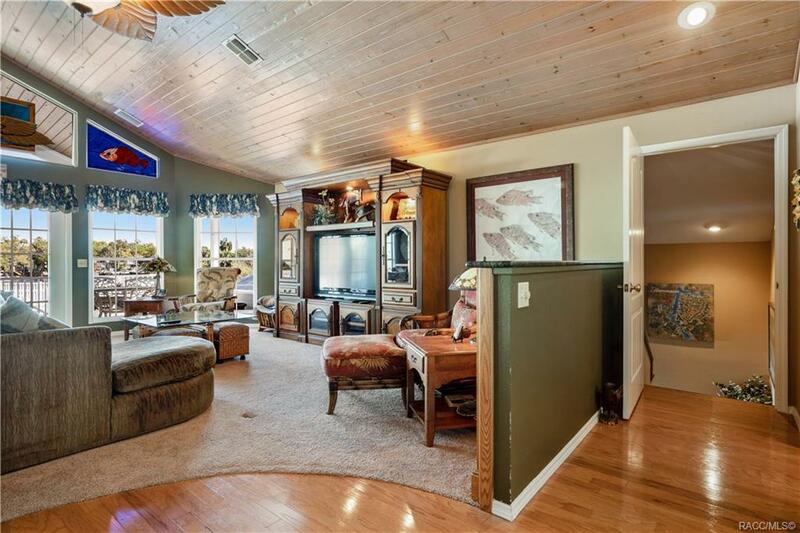 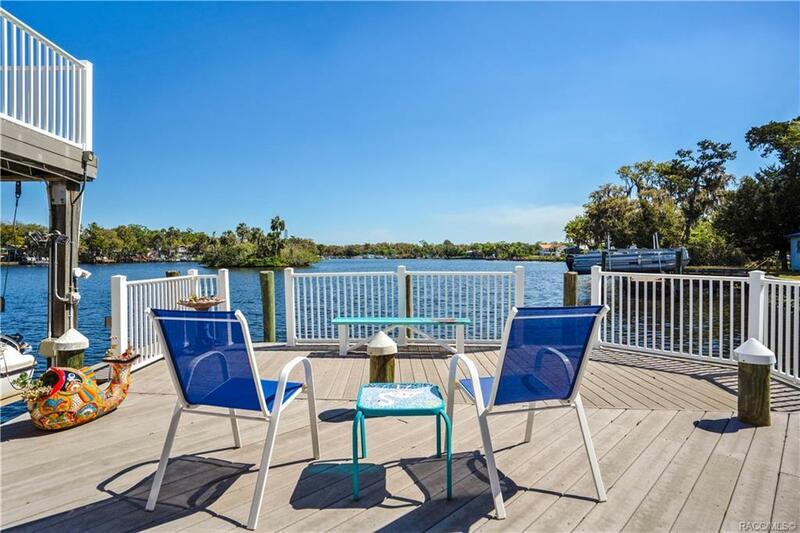 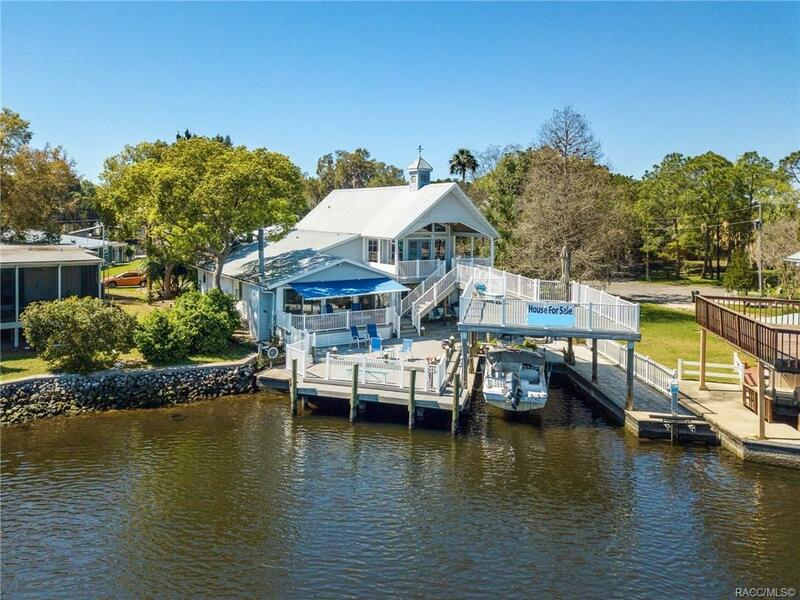 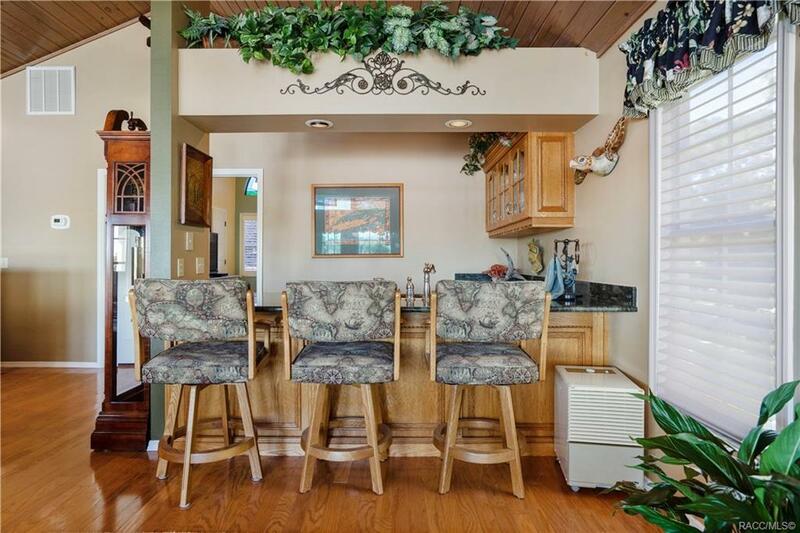 Old Homosassa Riverfront Home that has Fun, Cozy, Relaxing and Ready to Entertain written all over it and definitely through it! 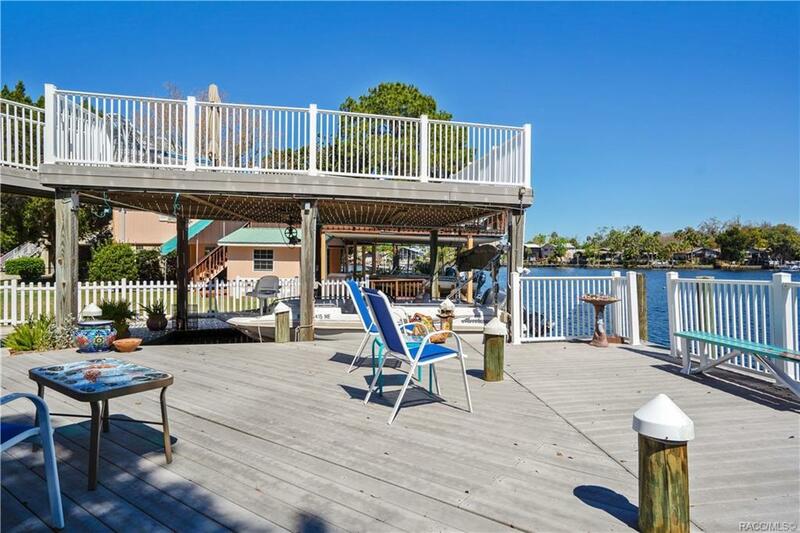 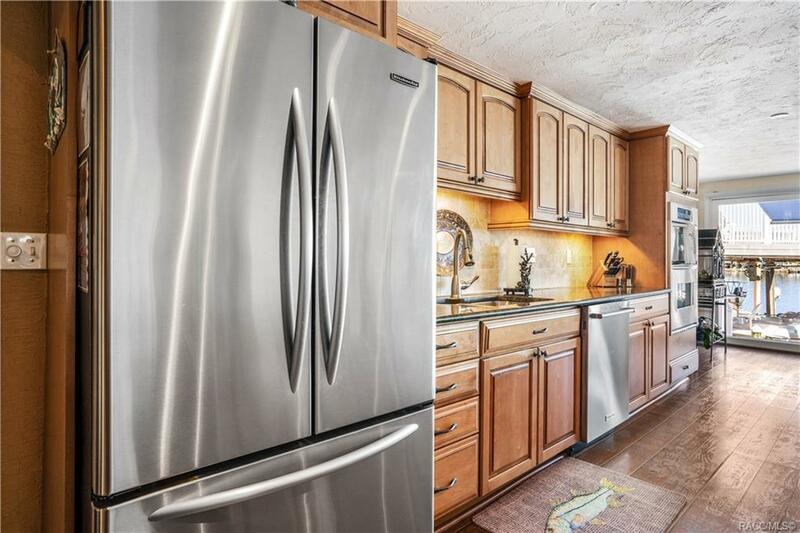 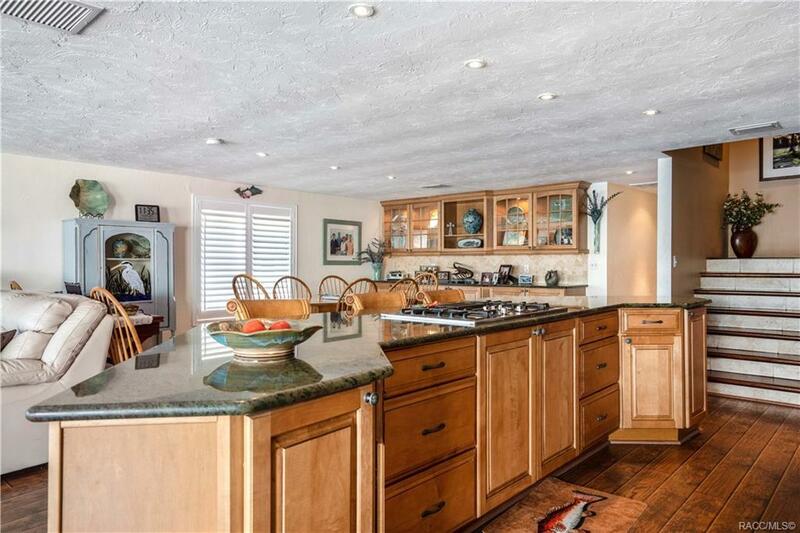 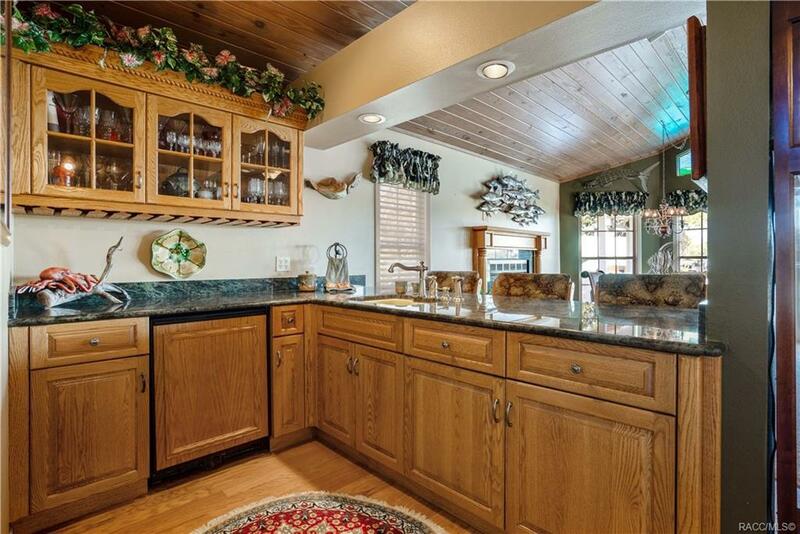 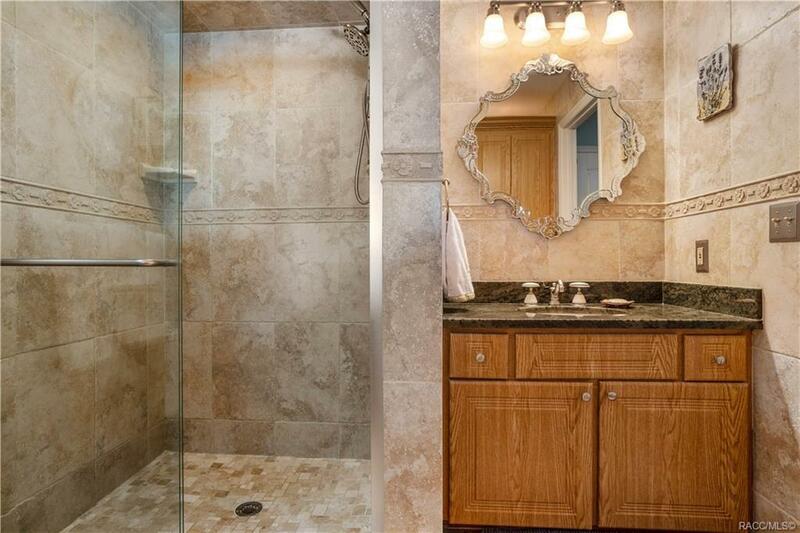 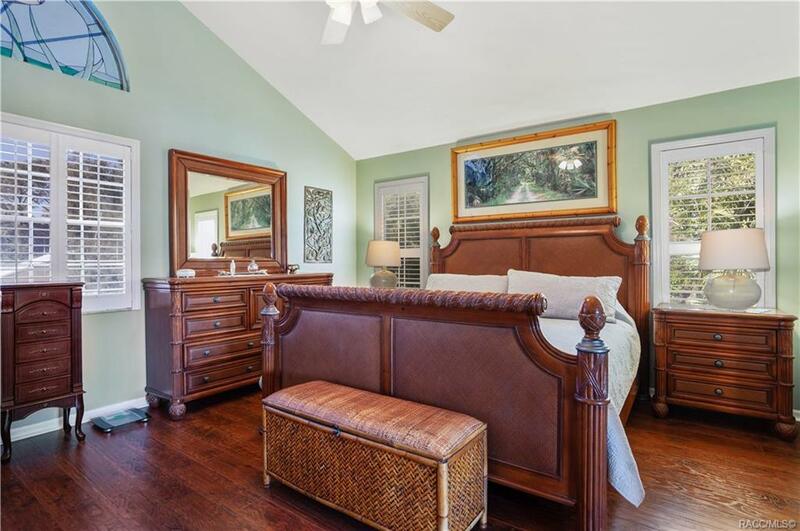 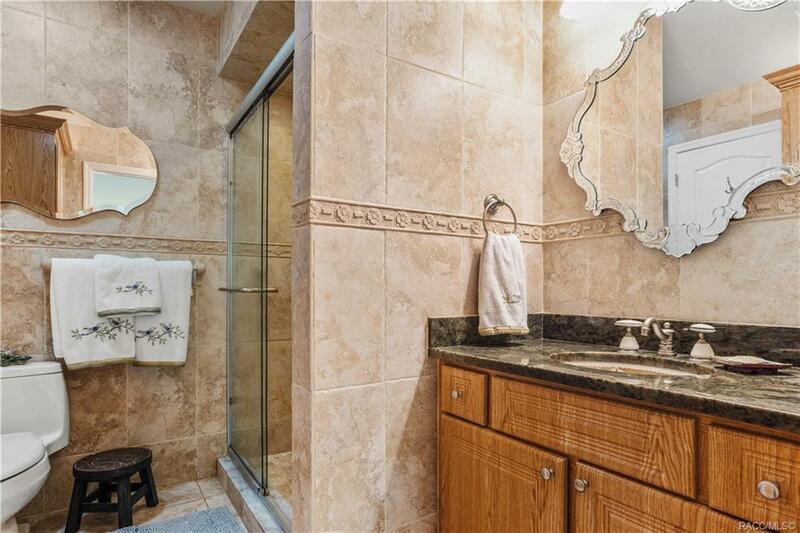 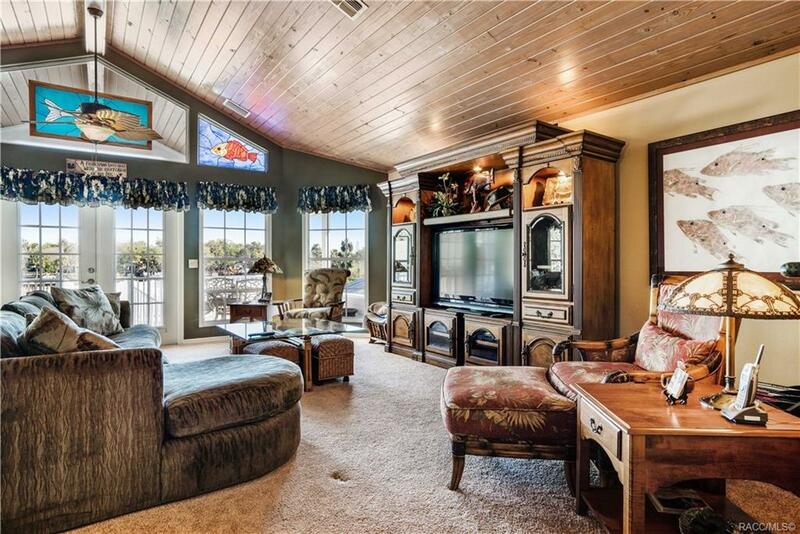 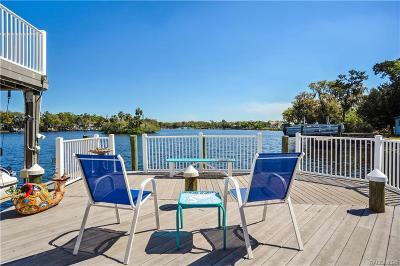 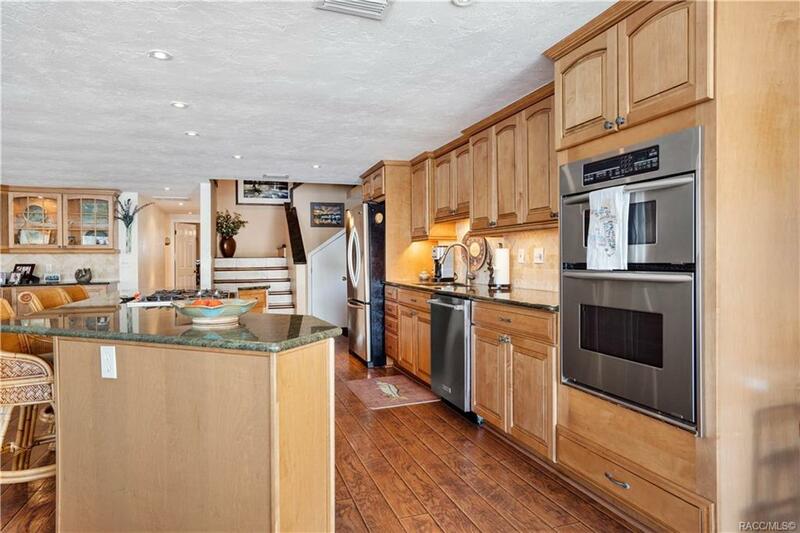 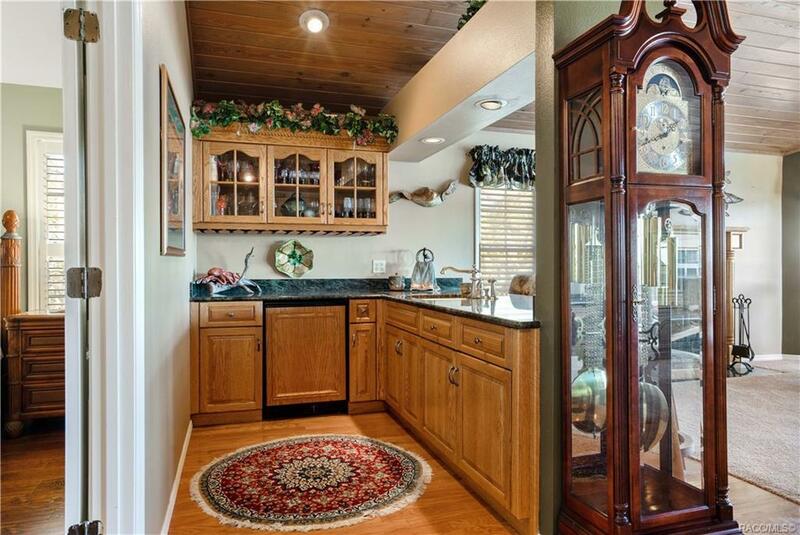 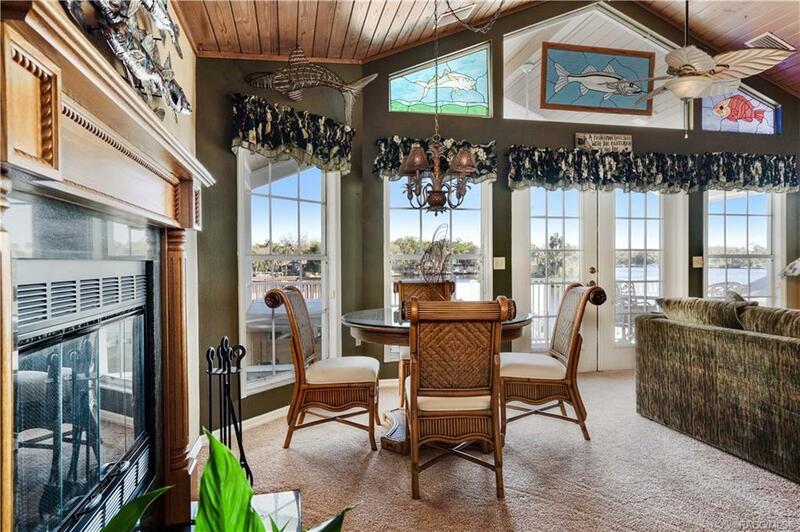 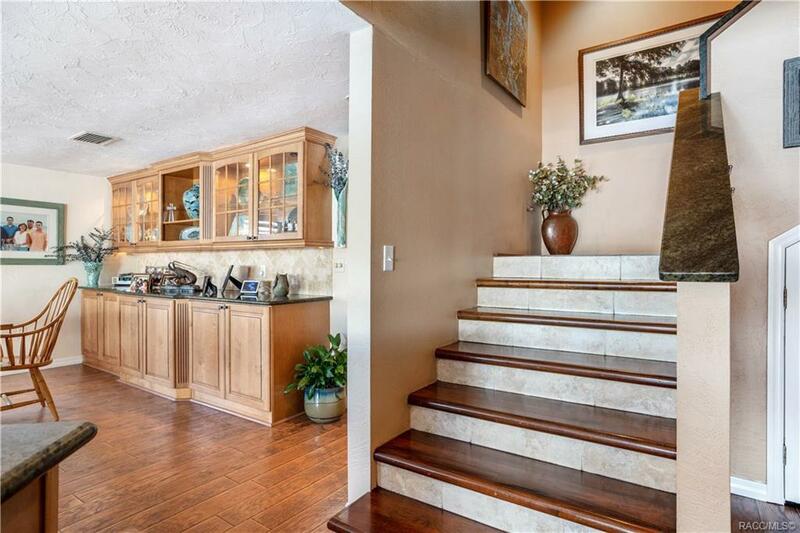 This gorgeous home has everything and more for you to enjoy the waterfront lifestyle. 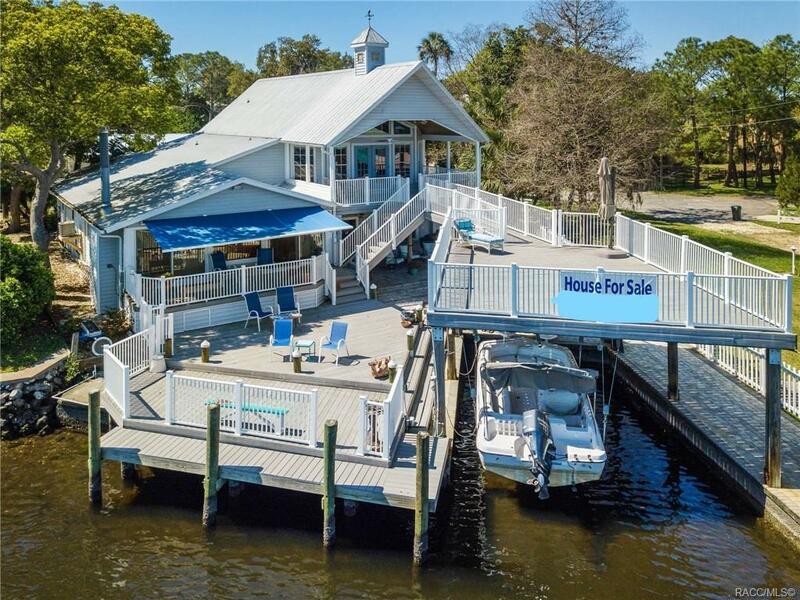 With over 65 feet of waterfront with a dock, composite decks, covered boat slip with sling boat lift, seawall, covered paver patio, and fire pit. 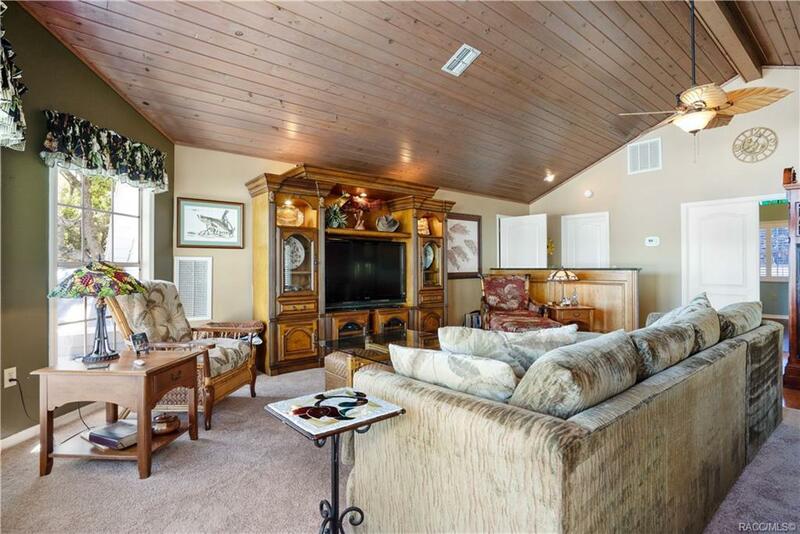 House features 2 levels of living with Great Room on Main with Gas Fireplace, Dining area, open kitchen, island bar and then 2nd story leading to an entire suite upstairs with a private living room, dining space, wet bar, Master bedroom, bath, private balcony deck and hot tub. 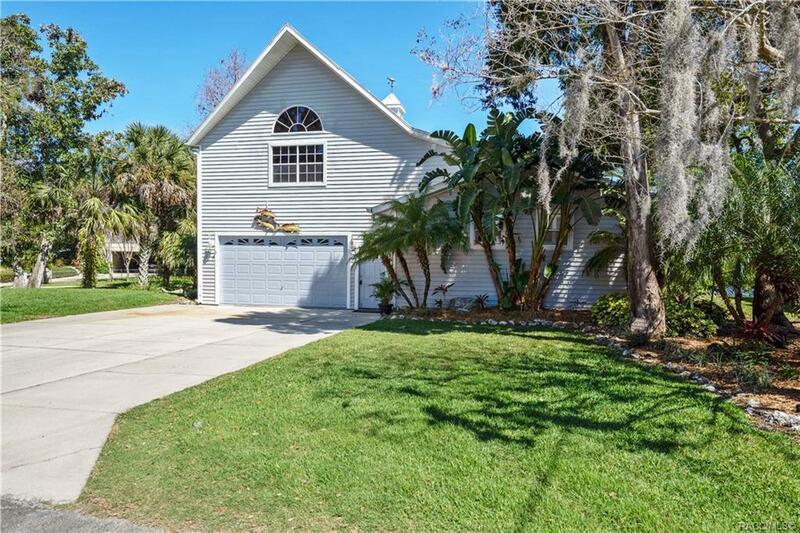 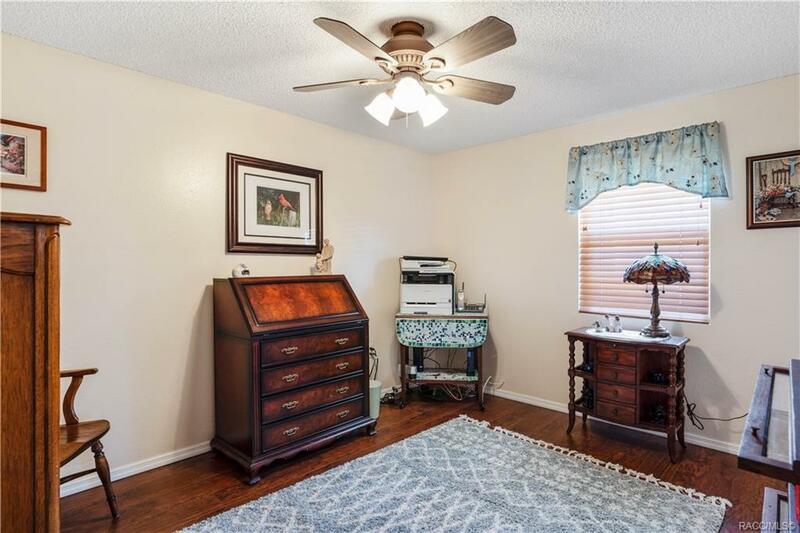 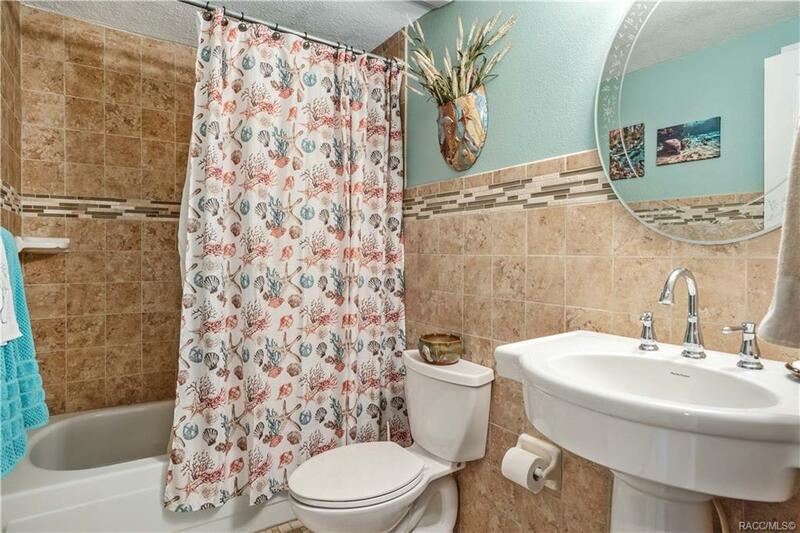 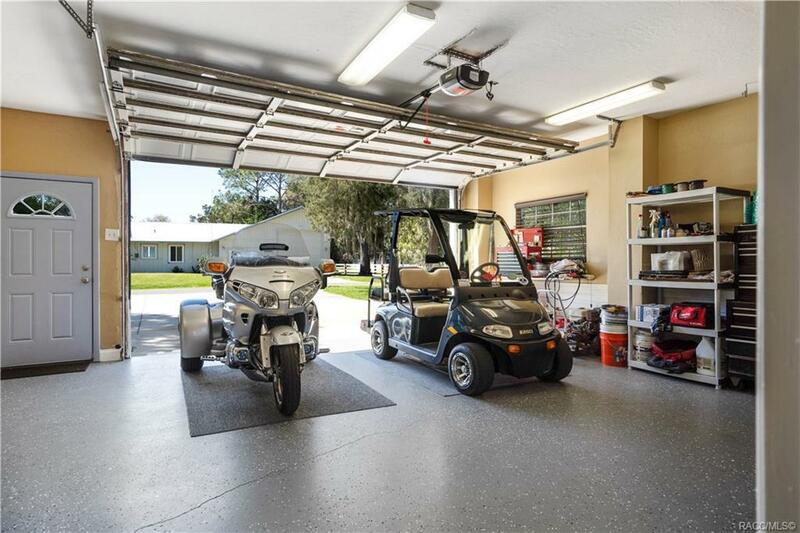 You will not be disappointed in this amazing hard to find home in the most desirable neighborhood in Old Homosassa. 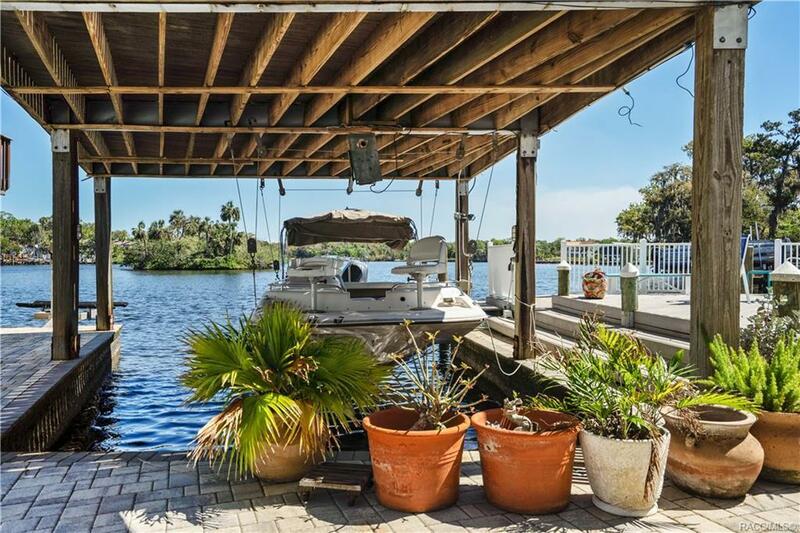 Imagine boating to all your favorite restaurants, bars, fishing spots, springs or jump on your golf cart and do the same! 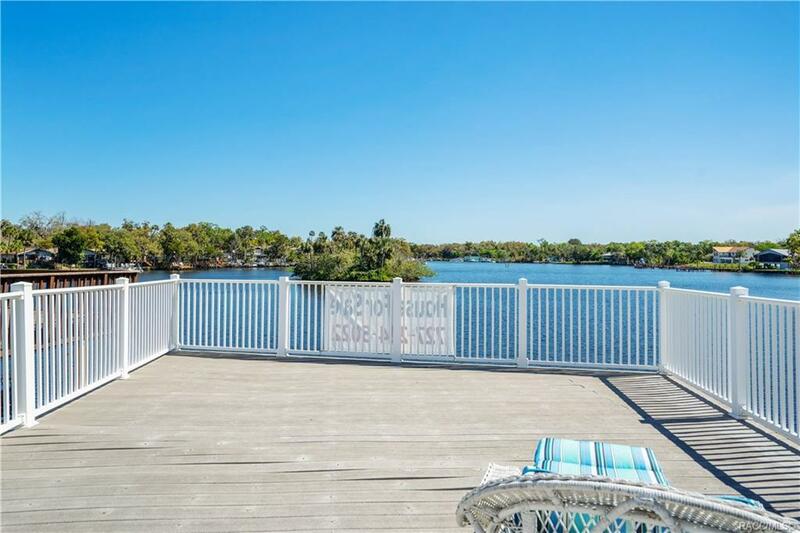 Whatever your heart desires!